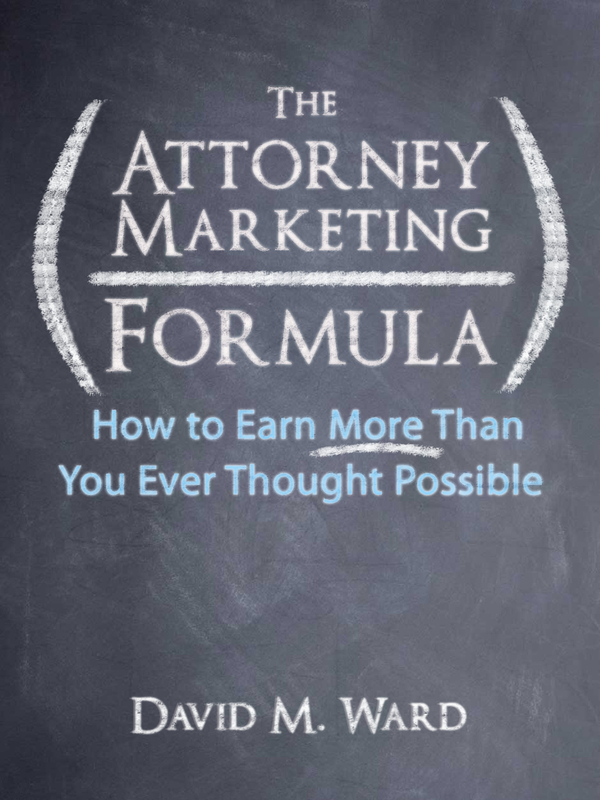 If this is your first visit to The Attorney Marketing Center, there are a few important things you need to know about the marketing solutions I offer. First, I want you to know that everything here is designed to help you start getting results in marketing your practice as quickly as possible. Why take ten years to achieve your goals if you can do it in two? I’m not going to make some pie-in-the-sky promises about getting rich in three weeks, but if there are two ways to achieve the same goal, I’ll show you the shortest path. At the same time, the most productive marketing strategies, the ones that give you the greatest long term results, usually take time to develop. To build a referral-based practice, for example, requires building relationships, and that doesn’t happen overnight. You need to understand that and view your marketing activities and the results they produce with a long-term perspective. Second, you won’t find any theoretical ideas, academic studies, or nice-sounding but impractical marketing methods here. Everything here has been tested and proven to work, either by me, the attorneys who have invested in my products or services, or by professionals or businesses in other fields. Everything here is for the individual. Whether you are a sole practitioner, a first year associate in a mid-sized firm, or the senior partner in a large one, marketing is your responsibility, and I’m going to show you how to do it. Fourth, I emphasize referrals. 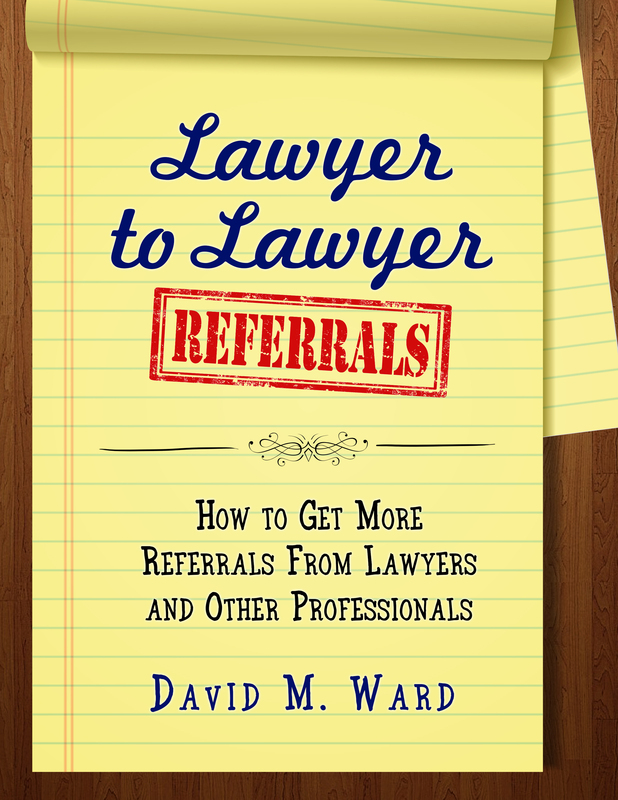 I believe referral-marketing should be the foundation of every lawyer’s practice-building activities. 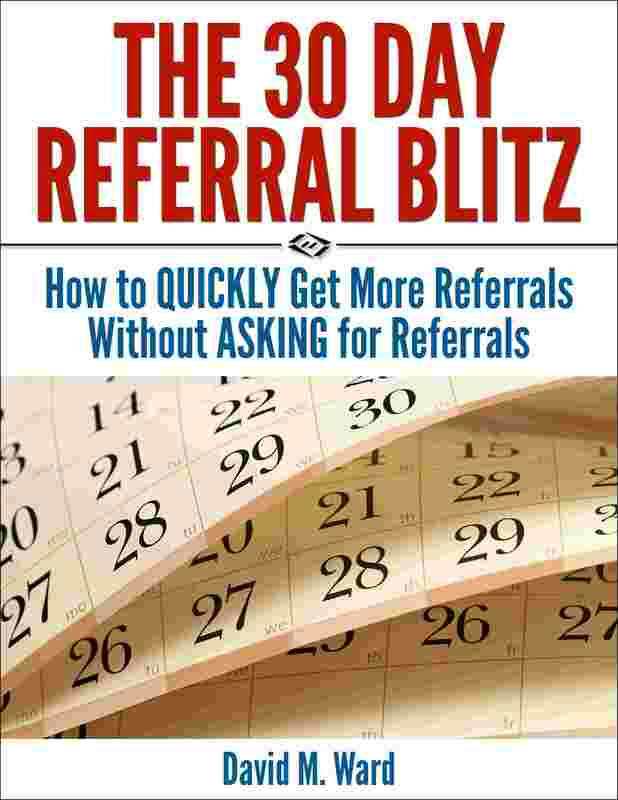 But while I emphasize referrals, they are by no means the only marketing method I teach. There are many other strategies and techniques for getting clients and growing your practice. In fact, you’re using one of them right now! Fifth, the systems and methods I teach work for any lawyer in private practice, no matter what your practice area(s). Moreover, jurisdiction is irrelevant. 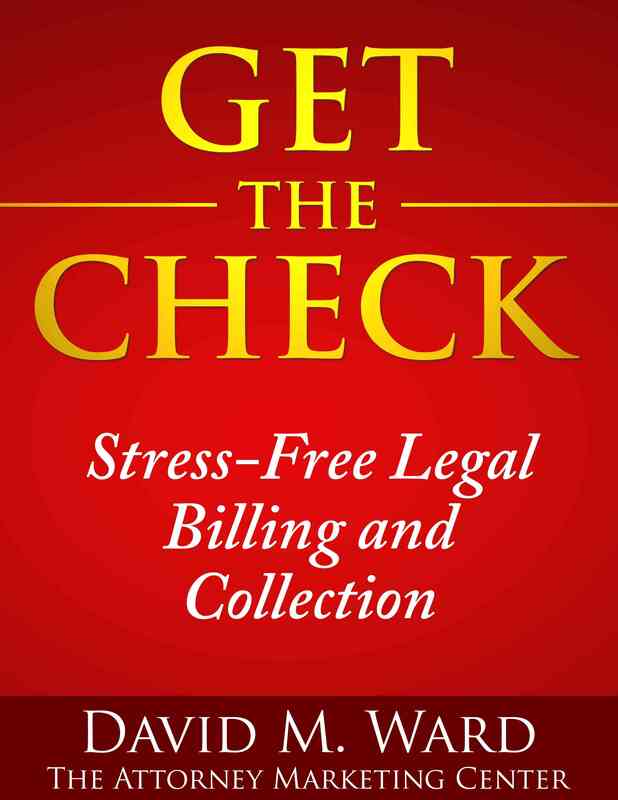 Lawyers in all fifty United States and in a dozen countries are using my systems. Your level of experience also does not matter. I’ve taught new tricks to “old dogs” (lawyers with 40+ years in practice) and I’ve helped brand new lawyers open their first law office. It’s amazing. Everyone thinks they are different, their practice is unique, their clients are more difficult, their city has the most competition, and their state bar has the strictest rules. These are not realities, they are excuses for not taking action. Everyone has challenges. Successful people look for solutions, not for reasons to justify their excuses. Sixth, every one of my products is unconditionally guaranteed. If you aren’t satisfied for any reason, you get your money back. No questions, no conditions, no hassles. When you deal with me, you take no risk. I stand behind every product and service I offer. If you’re not 100% delighted with the information and advice I give you, it’s my fault, not yours. I also recommend other products at this web site, and while I do my best to choose vendors who share my “unconditional money back guarantee” philosophy, I cannot speak for everyone. However, I’m going to tell you right now that you should not order anything I have for sale if you are not willing to make a sincere effort to implement what you will learn. It doesn’t do either one of us any good if you order something with no intention of taking action. If you’re just curious and not really serious, keep your credit card in your wallet and enjoy the multitude of free ideas available on this web site. I want to help you, but only if you are committed to taking your practice to the next level. Seventh, I can’t help everyone. 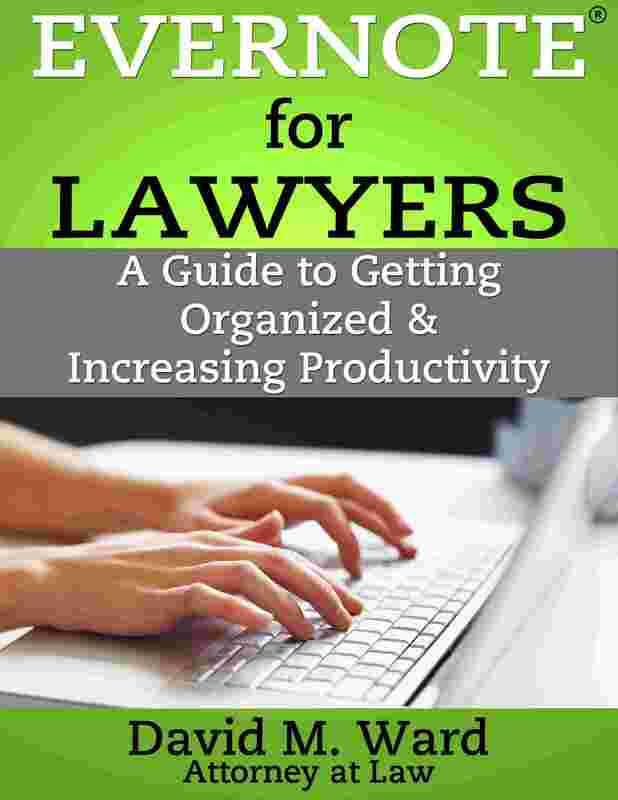 Even though my systems can help ANY lawyer, they can’t help EVERY lawyer. I can’t help you if. . .
You have unrealistic expectations. 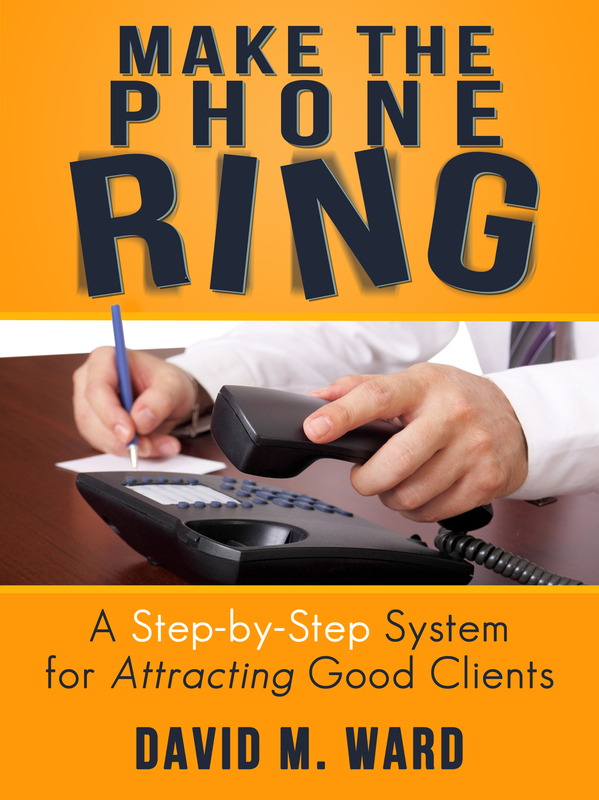 Some lawyers who use my systems bring in a lot of business in a very short period of time. This may happen to you. But it is foolish to expect results like these. If you demand overnight riches, sorry, I’m not what you’re looking for. You’re lazy. If you’re unwilling to do any work to build your practice, if you’re only willing to read about marketing but are not willing to do anything, sorry, I can’t help you. You think you can delegate everything. You can (and should) delegate as much as possible, but there are some things you must do yourself. You must be willing to do those things. You’re too cool to market yourself. If your ego won’t allow you to get out of your comfort zone and try new things, if you’re not willing to change, how do you expect your results to change? If you refuse to try anything new (or do what you’re doing differently), or if you’re stuck in the “I’m a professional and shouldn’t have to do that,” mindset, sorry, I can’t help you. You insist on reinventing the wheel. One lawyer I worked with was hard working and intelligent and despite some career setbacks, had a positive attitude. His only problem was that he didn’t listen. Although I told him not to, he insisted on spending gobs of money mailing letters to “cold” lists. He thought he knew better, but he didn’t know what he was doing and he blew thousands of dollars. If you are unwilling to listen to the voice of experience, sorry, I’m not your man. You have “no time.” Sorry, but marketing is going to require some of your precious billable time. It takes time to learn about marketing. It takes time to implement the strategies and techniques. It takes time to make phone calls and write letters and talk to people. It takes time to create new relationships and build your existing ones. If you have more money than time, there are things that you can do to generate new business, and I will show them to you. But building relationships is the best way to build a law practice, and that does require time. How much time do you need to put into marketing? Not as much as you think. Consistency of effort is more important than the quantity of time invested. If you want to see meaningful results in growing your practice, you must be willing to invest a minimum of one hour per week. No, that’s not a lot. But you must do it EVERY week if you want to develop momentum. If you are unwilling to invest an hour a week to advance your career, sorry, I can’t help you. (Notice I said “unwilling,” not “unable.” You may be booked solid for sixteen hours a day, but if you want something bad enough, you’ll find the time for it. Want proof? When your spouse gives you the look that says, “I’m available,” do you tell them you’re too busy to “get busy.”)Well, as you can see, I like to tell it like it is. I hope you appreciate that. I know I would if it was the other way around. I look forward to helping you achieve your marketing goals and I look forward to hearing your comments. P.S. If you haven’t already done so, you may want to read my article, “What I learned about marketing in law school”.